March Madness offers three weeks of basketball fun from March 19 to April 8. And, what Michigan wine fan could make it from the first bracket games to the Sweet 16, Elite Eight, and Final Four without pairing the ball games with Michigan wine? Whether you gather with friends and family or enjoy a quiet viewing of the games at home, here are some food and wine pairings to make your game days delicious. These Taco Cups are adorable and tasty. Pair them with a Syrah from Domaine Berrien Cellars or St. Julian’s Braganini Reserve label. Incidentally, Domaine Berrien Cellars is the first Michigan winery to release a Syrah. Today, several more Michigan wineries are growing this variety, which has a long history in the Rhône region of France. Chicken Pot Pie goes bite-sized and is a team player with Chardonnay. Try Brys Estate’s Naked Chardonnay, a gold medal winner at the 2012 Michigan Wine and Spirits Competition. The delicious wine is aged in steel tanks rather than oak offering a more distinctive grape flavor. Chardonnay also plays well with garlic-salted, buttered and cheese popcorn. Cabernet Sauvignon and Malbec are good choices for Lasagna Cupcakes. Burgdorf’s Winery makes a great Cabernet Sauvignon. In honor of their favorite sports team, Burgdorf’s Winery also crafts a sweet wine white called Spartan White. Though Malbec is not currently produced from Michigan vineyards, Chateau Chantal of Old Mission Peninsula produces a great Malbec grown in their Argentina vineyards. And, every party needs a great dip! One of my favorites is Frank’s Red Hot Buffalo Chicken Dip, which you’ll still be craving long after game day. Buffalo dip, just like buffalo wings, can be a little risky to pair with wine, though quite tasty when paired well. Try a Riesling such as the popular and award-winning Chateau Grand Traverse Semi-Dry Riesling. Prefer red? Try a Syrah. 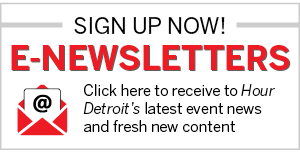 Lorri Hathaway is freelance writer who is passionate for Michigan wine. 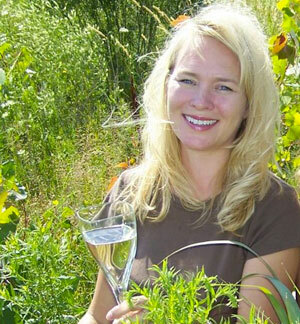 She is co-author of the award-winning From the Vine: Exploring Michigan Wineries and The History of Michigan Wines. Reach Lorri at lorri.hathaway@gmail.com.